Exciting news is happening at Neappoli! They are opening their doors to potential partnerships with Ottawa councillors. This will provide increased exposure to councillors working for their city and support Neappoli in their quest to connect citizens and cities. Councillors will receive a unique opportunity to show their support for innovation in their community. Followers of Neappoli know that the business has pledged to not charge for their app. Neappoli’s users have always been priority number one and the complete absence of advertisements is designed to maximize their users’ in-app experience and to respect their privacy. Neappoli will also always refrain from monetizing user data, as it goes against their values. In fact, once Neappoli releases the upcoming revamp of its app in a few days, personal data will no longer be stored by the company and will instead be stored locally (i.e. on users’ personal devices). Councillor Jeff Leiper of Ottawa’s Kitchissippi ward had been following Neappoli’s progress and reached out for a coffee meeting via Twitter. As a strong supporter of creating a vibrant ecosystem, he generously offered to sponsor Neappoli and support a burgeoning local business, founded at his alma mater (the University of Ottawa). 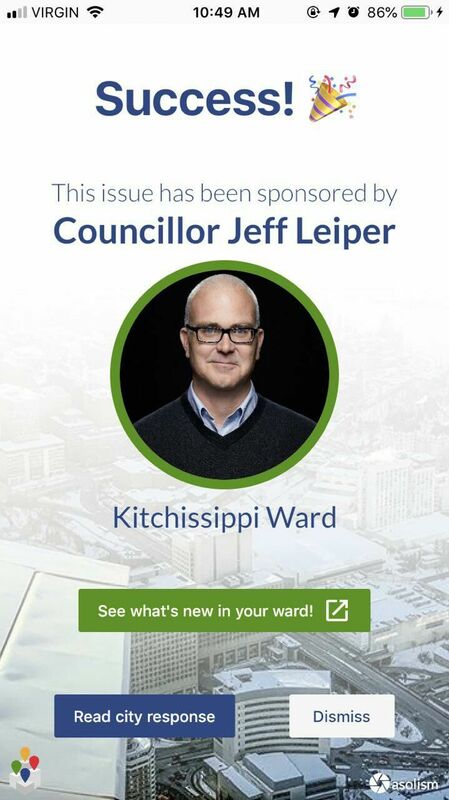 Since his election in 2014, Kitchissippi Councillor Jeff Leiper has been a proponent of the city’s efforts to engage with third party tech providers to solve issues for residents. As a strong supporter of creating a vibrant ecosystem, Leiper had been following Neappoli’s progress. Leiper worked in the technology field before entering municipal politics. This background, combined with his commitment to public engagement, makes him a perfect fit as a sponsor. After meeting the Neappoli team over a morning coffee in his ward, Leiper agreed to do precisely that. As an avid cyclist, Councillor Leiper gets a first-hand look at several neighbourhood issues (such as dangerous potholes) which the Neappoli app allows residents to easily report with a few taps. Neappoli is thrilled to work with Councillor Leiper to better the residents of Kitchissippi.